Just a reminder, but it’s important we all hold firm. Please don’t you ever doubt how oppressed South London is. 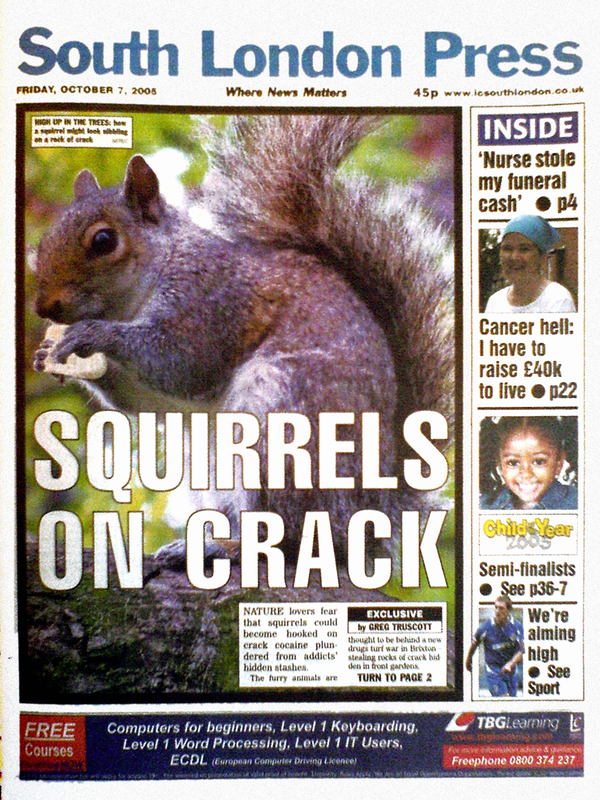 Even the squirrels are fucked up. WE NEED INDEPENDENCE NOW. If not for our sakes then DO IT FOR THE FLUFFY ONES. Peace. This entry was posted on March 4, 2010 at 3:10 am and is filed under FreeSouthLondon, Indigenous Culture, Revolution, South London, Wildlife. You can follow any responses to this entry through the RSS 2.0 feed. You can leave a response, or trackback from your own site.